GN Solids came back to China this week after ADIPEC oil show. During the show, we met with many GN old friends, and talk about the future of the oil & gas, the future for solids control equipment and decanter centrifuge. We all trust the bright future of oil & gas will come to stage very soon. 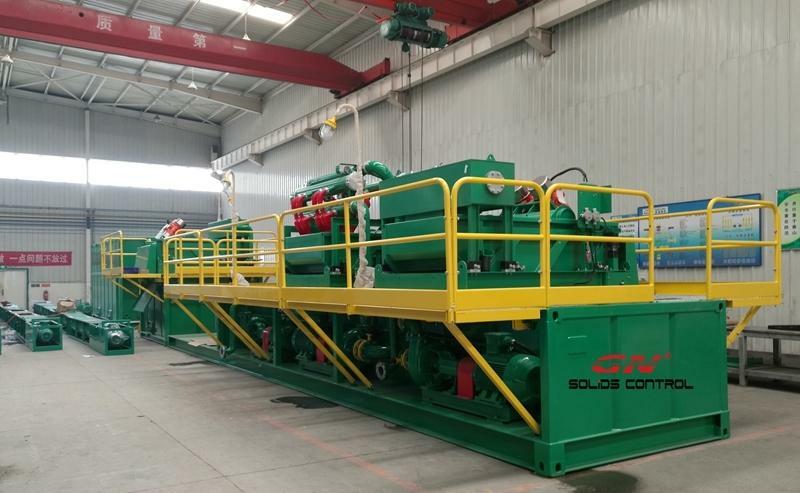 That time will be also the bright time for GN Solids Control, as well as GN partners, old friends and clients. After the ADIPEC oil show, GN visited many old clients in UAE and surrounding countries. Most of clients is very happy with GN solids control equipment and GN centrifuges. Some client may have small problem, and we fixed it or give instructions on how to fix. 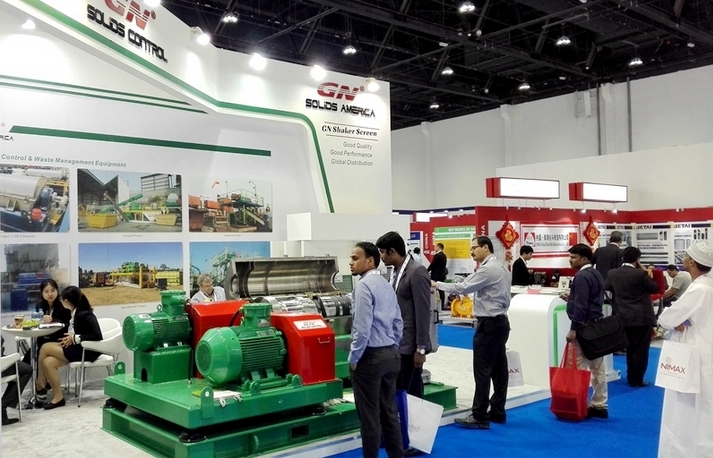 GNLW363 centrifuge was shown at ADIPEC oil show and this good product is much familiar among the clients. Every old client come to GN booth to say hello to the centrifuge, it seems the centrifuge is their best friends. This 14inch centrifuge is much reliable centrifuge, which is replacement for Derrick DE1000/ SWACO 518 or any other USA brand centrifuges. The market say it is OK, then it is OK. We have annual sales of this model centrifuge for over 100 sets in past years. 18inch high speed centrifuge, GNLW453. This can be used for barite recovery, or mud weight cuttings. 22inch big bowl big volume centrifuge GNLW553. This is mostly used for fast drilling, or other construction area. 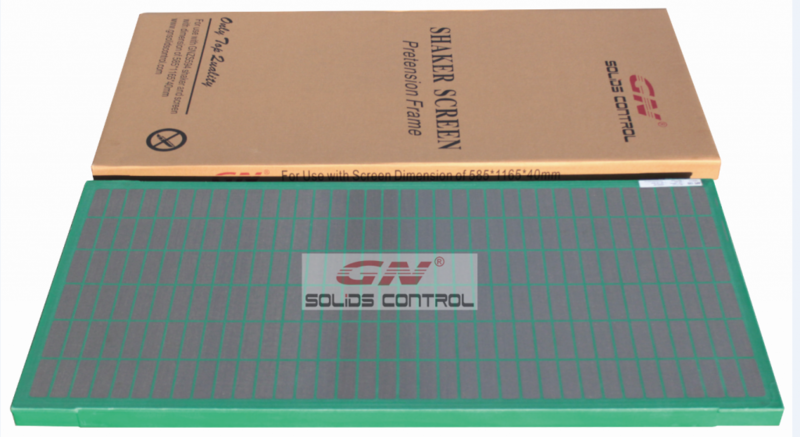 During the oil show, shaker screen is another shining points. GN can offer replacement shaker screen for many different big brands. 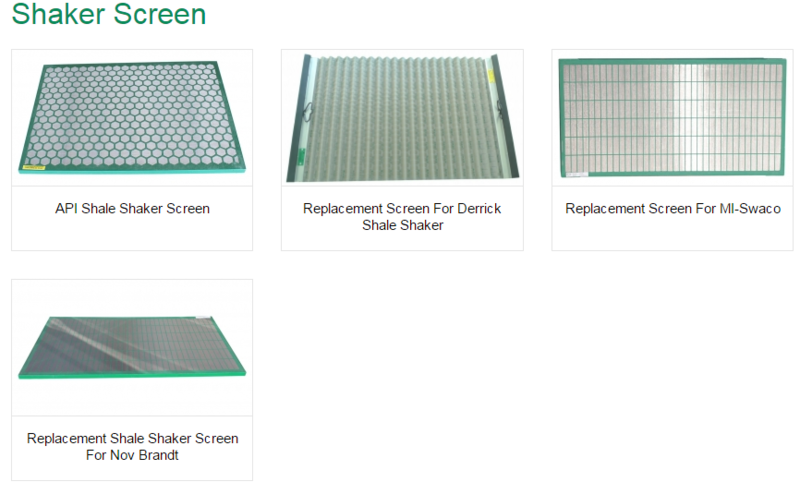 Replacement shaker screen for Derrick FLC500 shaker, Derrick FLC2000 shaker. For more info, pls contact GN Solids Control freely.